I was a first time guest in an environment I had never visited. We were invited guests of a golf fanatic who secured 2 tickets for our family (plus tickets for the 2 reluctant kids were free). I do play golf (about 1 time a year), so I am familiar with some of the rules and behavior expectations as a member of the crowd. I’m not an avid follower of golf, so all those names on the board behind us are unknown to us. But we couldn’t help feeling a little out of place. listening in on the conversations around us by people extremely knowledgeable in enough golf trivia to win Jeopardy! lost in the all the marketing booths for various businesses that we didn’t know we needed. clueless about who we were watching (except one golfer who’s name we were familiar with). We made our way to the first hole, and watched 3 professional golfers tee off. We followed them along the well marked way toward the green and watched them finish the whole. Those players were unknown to us, although one of those men won the $6 million check at the end of Sunday’s sudden death hole. We stayed there awaiting the next group and the next, when a mass of people an photographers started moving in. Tiger Woods was approaching. At least I knew that name. Once Woods finished the hole, the mass of people and photographers moved on. We lucked out I guess. We were in the presence of golf greatness. I enjoyed my visit and would love to do it again sometime. As I rode the shuttle bus back to the car (parked nearly 5 miles away in a park), I found myself thinking about the entire hospitality experience I had at the Honda Classic. The magnitude of the Honda Classic will never be reached in a local church. The logistics were on such a massive scale that a local church will never achieve. But there were some key points that you can apply in your local church. 1. They prepared in advance for guests. Advance preparation was evident. It had to be well planned out. For record setting 193,052 guests who attended, logistics had to be thought out. Volunteers had to be organized. Materials needed to be in place. Vendor booths needed to be setup. Food, media cameras, security, parking, all had to be organized. 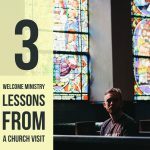 You may not get 193,052 guests coming to your church, but you can prepare for the 10-100 who will visit you this weekend with intentional focus on preparing your welcome. The Honda Classic made great efforts in navigational signage. From signs that guided us to parking, where to get the shuttle bus, where to enter, where to go, all signage was clear. I did not have to ask a volunteer for directions. As we walked around the campus to watch golfers, to eat lunch, and to use the facilities, all were clearly marked. Signage made it easy for us to get where we needed to go. Take your own signage audit to make sure your visitors can find the important rooms in your church. Confirmed guests of 193,052, plus media, players, volunteers mean a lot of trash. Food tents, food carts all had their own trash from their kitchen work. The tents with vendors all had leaflet giveaways and lots of marketing materials, much of which would find its way to a trash can at some point. I was impressed at how clean the grounds of the Honda Classic remained. Trash receptacles were everywhere. I saw volunteers picking up anything that missed. I saw volunteers keep changing out full bags. I never saw an overflowing trash can. At the food stand we ate at, the condiment counter could have gotten all trashed with mustard, relish spills, honey mustard sauce, mayonnaise spills and more. But I saw the volunteer keep that area clean. If someone left their food trash on a picnic table, it was cleaned up quickly by volunteers. The volunteer base had a strong ethic in keeping the appearance neat. I noticed that even the glass doors we used didn’t have hand smudges on them. Someone had to stay on top of that. How well does your church do at keeping it’s facility clean? How well do your members take pride in picking up any trash that is not theirs to make sure their campus stays clean? 4. Volunteers who took pride in their work. Mobilizing volunteers is a challenge for every organization. On this scale, it took an amazing leader to cast that vision for great customer service ethic I saw in the volunteers at the Honda Classic. Men and women took their role seriously. They took pride in their work. They looked after their guests. 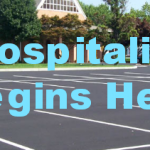 One thing I frequently hear from leaders of hospitality ministries is dispassionate volunteers. Part of your role as the ministry leader is to refresh that vision for hospitality so that your volunteers will take pride in their service. 5. The whole experience was easy to enjoy. 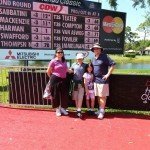 As a first time visitor to the Honda Classic, I could have easily been overwhelmed by the newness of it all. 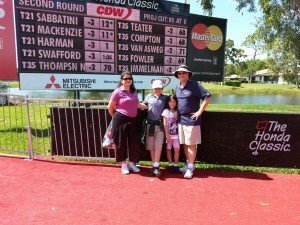 But their advance preparation and work ethic of their volunteers made the experience of the Honda Classic extremely enjoyable. Even though I was out of place in the midst of thousands of golf lovers who knew what they were watching, I still enjoyed my experience. This is what you want your first time visitor to feel when they leave your church after their first time visit. You don’t have to entertain them like a Disney show, nor do you have to impress them with technology. 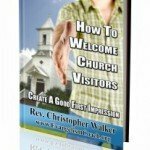 But you do need to make sure their experience of your church service leaves them with a enjoyable impression. I offer a coaching call where I spend time on the phone with you or your committee, up to 90 minutes, where I help you trouble shoot and develop some action plans. I can help you review your systems through a step by step flow chart that I’ve developed. Read more about that hospitality coaching here. I felt so out of place as we attended and tried to participate in their church service at their personal invitation. The order of service, communal prayers, and liturgical responses were completely different from anything I had experienced before. 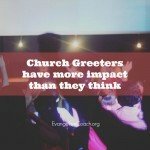 Do your church greeters realize that simply saying a hello on a Sunday morning can have long term consequences? Sometimes to a second generation? 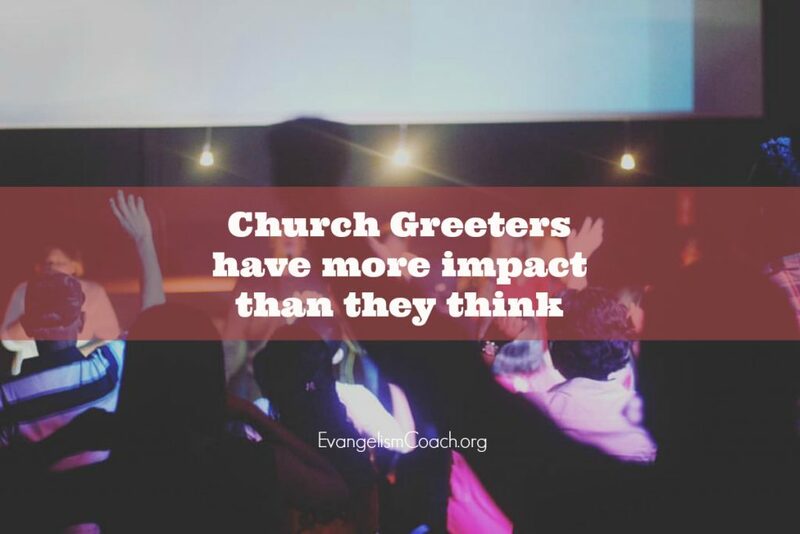 The impact of a well-trained church greeter who says hello to your church visitors on a Sunday morning goes a whole lot further than your greeter might realize. Read on to see some of the impact that a wise greeter can have.